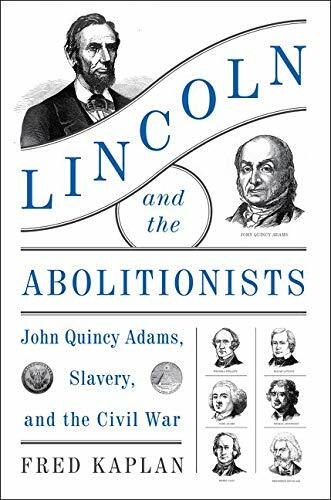 Explores how the differing experiences and viewpoints of two Presidents shaped slavery and race relations in America for more than a century. John Quincy Adams, on the other hand, had remarkably progressive opinions on the issues of slavery and (de)segregation. He was outspoken and passionate, and today would be considered an activist. Yet our textbooks and history lessons largely leave out Adams while putting Lincoln on a pedestal, simply because Lincoln happened to be president when the country was forced to decide between a united nation and slavery. Fred Kaplan lays the truth out for us in this exceptionally researched book. The author's focus is not on the war itself, but on the people and politics leading up to and surrounding it. We see the nation and its people as they really were, absent the shiny polish and pedestals we tend to give our historical heroes. Kaplan's writing is an intelligent narrative without the academic pretense. This is an in-depth but easy book to read. Kaplan gives us a gift here by giving us the truth. We need to know and to acknowledge the truth of where we've been if we ever hope to create a better future.